Just a quick post in response to Mustang.Koji’s question about something I wrote in Sleep. My dad and me. Beveridge Park, Kirkcaldy, 1962. It’s not clear who said that Britain and America are two nations divided by a common language (Oscar Wilde, George Bernard Shaw or Churchill are the main contenders), but the idiosyncrasies of language continue to confuse and confound. So for those of you (and I know there is at least one) wondering what a “pram” might be, it’s the rather stylish vehicle in the black and white photo. Short for perambulator, these are now pretty much relegated to museums and replaced by more user-friendly devices like the one below containing my son. 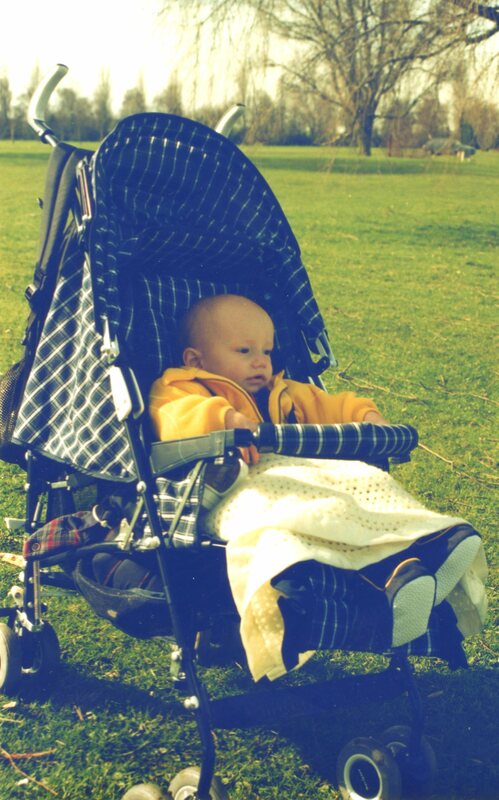 Tom in his stroller/buggy/push-chair (take your pick). Emberton Park, Olney, England, 1999. I’m not sure how much of my childhood I spent being wheeled around in this shiny metallic contraption, but I can’t imagine it was a lot of fun for my parents. They didn’t own a car in those days, so any trip that wasn’t walkable would have involved getting me and my wheels onto a bus. 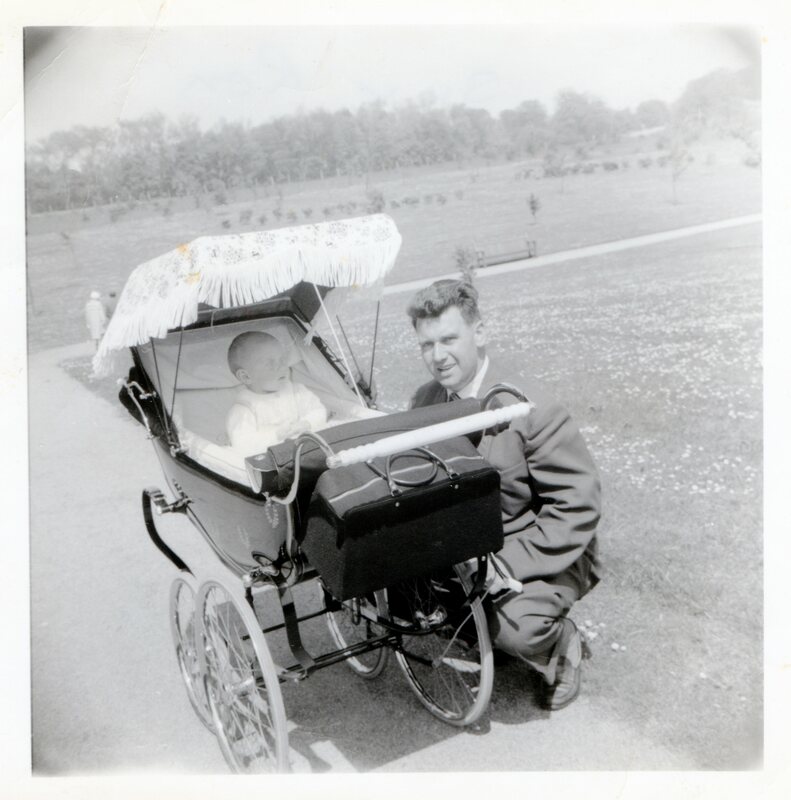 By the time my brother Craig came along, my mother must have had to deal with the nightmarish daily scenario of baby-in-pram PLUS two-year-old presumably not in pram. In Scotland. Where it rains. A lot. I remember what it was like having to faff around with Tom’s stroller when he was small and howling. There were days I found that incredibly stressful, and the thought of having to do so with a bus-load of people watching and waiting brings me out in a cold sweat even now. Cruden decendents. Two little boys – born one day apart – who share the same great, great grandparents – Alexander Cruden and Catherine Black. 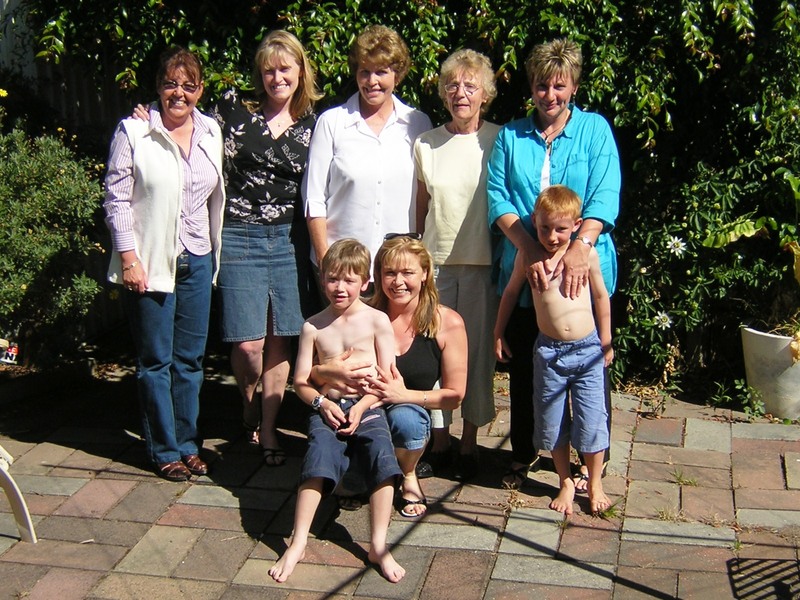 One branch of the family in Australia, one in New Zealand, united for a summer barbecue. This week’s Daily Post Photo Challenge Word is escape, and for family historians it’s hard not to think about escape in terms of those ancestors who left their homelands for opportunities in other parts of the world. 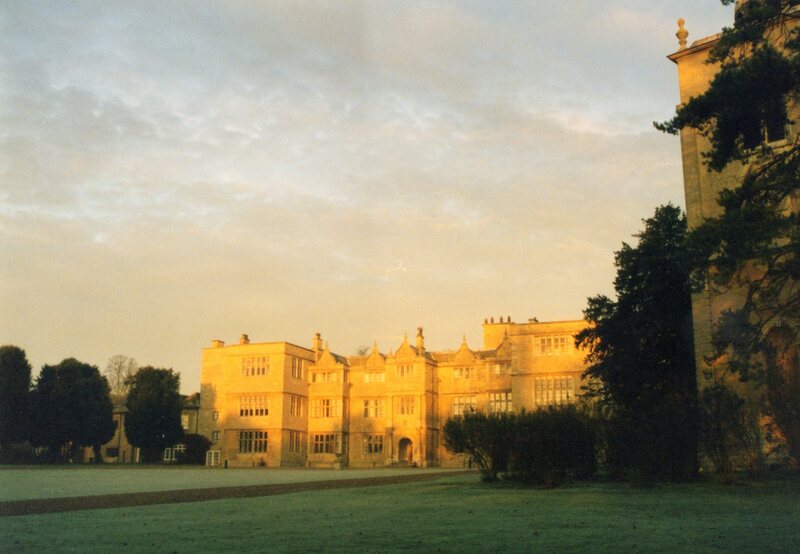 Gayhurst House, Newport Pagnell, Buckinghamshire, England. First of all, thank you to PacificParatrooper. Your comments on a post I wrote a couple of weeks ago made me realise that living at Gayhurst House when Tom was a baby represents one of those times when private and public histories collide. For that reason, I think it’s worth writing about – a twig on my family’s tree. I’m four months pregnant and the baby-daddy has a new job in Milton Keynes – about an hour away from where we’re living in the countryside near Bishop’s Stortford. Industrial strength commuting isn’t new for the big T, who knows the M25 way better than the back of his hand. But hey, we’re starting to think ahead and an hour is a long time if I go into labour while he’s at work, etc. I work from home anyway, and we don’t love the cottage we’re living in (especially in winter), so it makes sense to move closer to T’s work. Note that I said closer to … anyone who knows Milton Keynes will understand that we’re not too keen to actually live there. … and promptly fall in love. It’s Mother’s Day today in NZ and the boy-child has proven to be both thoughtful and funny with his gift; Scotland’s People credits, delivered in a rap that he wrote. He also made me a cool card – and breakfast – so I’m a very happy Mum today. It was ANZAC Day last Wednesday (25th April). Outside of Australia and New Zealand (and increasingly the UK, for reasons I’ll explain later), not many people have heard of ANZAC Day. Fewer still understand what is all about. Here in the Antipodes, ANZAC Day is possibly the most significant NATIONAL holiday we have. National in the sense of being specific to our country – rather than a reflection of our wider cultural adherence to broadly Christian festivals like Christmas and Easter. I know that the Australians also have Australia Day and we New Zealanders have Waitangi Day; both of which commemorate events that represent the beginnings of the formalisation of European dominance over the indigenous peoples of the two countries. But increasingly ANZAC Day has come – for many on both sides of the Tasman – to better represent each country’s sense of nationhood. 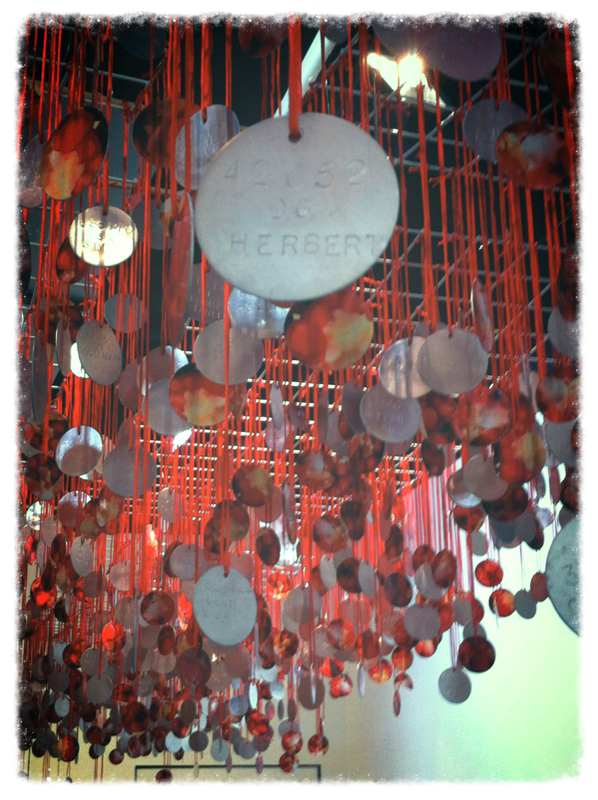 Strange Fruit by Turtle Donna Sarten at the New Zealand Academy of Fine Arts, Wellington. I imagine there are few family history researchers whose families don’t contain ancestors that served in the military. Although very much a novice historian, I’ve already found that most of my kinsmen from my grandfathers’ and great-grandfathers’ generations served in World Wars I and II – as did many of my older uncles. My brother too was a soldier; he served with the Scots Dragoon Guards during the 1980s and spent time in Israel with the UN peace-keeping force. Most of my relatives came home from war, although they bore physical and psychological scars for the rest of their lives. I’ve been thinking a lot about these ancestors recently. Partly it’s because we’ve just commemorated ANZAC Day, and as the 100th anniversary of the Gallipoli landings approaches (1915), New Zealanders and Australians are thinking more and more about how that appalling military tragedy – played out on the beaches and barren hillsides of the Dardanelles – became the forge that cast our sense of nationhood (I’ve written more about about that in another blog for anyone who’s interested). But the other reason I’ve been thinking about the soldiers in the family is that I’ve been to see an installation at the Academy of Fine Arts in Wellington entitled Strange Fruit. 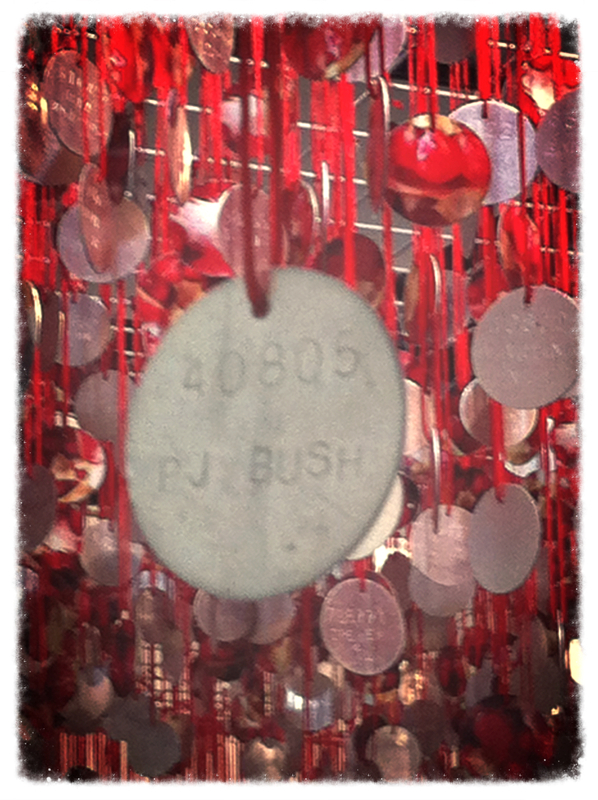 The ‘Strange Fruit’ of the title are 3890 military dog tags – one for each of the New Zealanders who served in Vietnam between 1964 and 1972. My partner’s cousin served in Vietnam. I don’t really know him, but I have talked with one of his sisters about the young man, chaffing against a strict father and upbringing, who “escaped” to the army and found himself in combat. She says he doesn’t talk about his experiences; I understand that is true of many veterans, of many wars. But of course Vietnam is different. Without underplaying the hardships that veterans of all conflicts experience, those who came home from Vietnam returned to a public that had largely turned against the whole idea of their country’s involvement in that war, and were anxious to forget. This has meant that, unlike those who served in earlier wars, Vietnam vets did not receive a great deal recognition of their sacrifice. In addition, many Vietnam vets have had to live with on-going health problems caused by exposure to the widely-used defoliant, Agent Orange, as well as PTSD (post traumatic stress disorders) – a term that was first used in relation to Vietnam vets. Thirty seven New Zealanders died on active service in Vietnam; 187 were wounded. It might seem a very small number – but every death ripples outward, affecting comrades, families, friends, societies. I first saw Strange Fruit in 2010, at Sculpture on Shore. Then, the tags were hung in a tree. Swinging and colliding in the wind, the effect was intense – both visual and aural. When I knew that the work was to be installed inside a gallery, I did wonder if losing that interplay of movement and sound would lessen the impact. Detail, Strange Fruit by Turtle Donna Sarten. 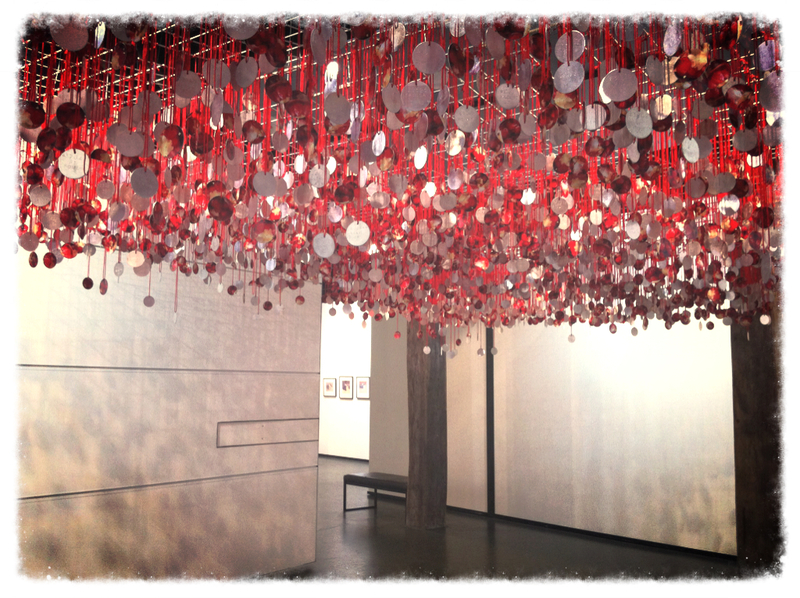 But actually, I think seeing Strange Fruit in the stillness of a white-walled room made the experience even more moving. As the only piece in that particular gallery, it didn’t have to compete for attention, and without the wind to move the tags, it was easier to read the names and to know that each one represented an actual human being, many of whom are still alive and living with the legacy of their experiences in Vietnam. I didn’t find our cousin’s name, but I know it is there, and that he and his comrades have not been forgotten.